Subcompacts and their least-expensive car has evolved. 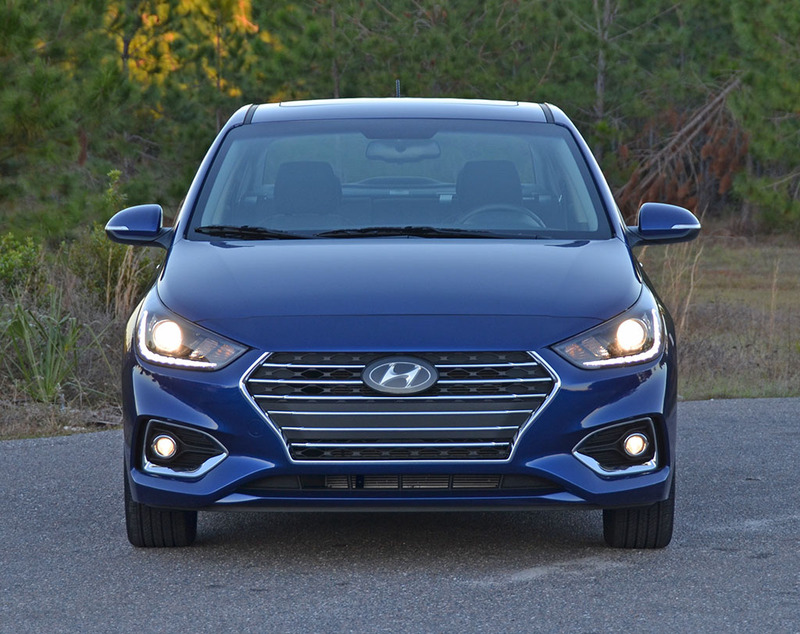 Capturing over 23 years running off of an entry-level concept, the Hyundai Accent has strived on to reach a new level of competitiveness even with its larger size, added tech, sleeker styling, and better ride quality. At one time, subcompact cars were almost an after-thought for basic transportation when those who didn’t care about style or impressing passersbys. Such vehicles can be had for the least amount of coin and get you from point A to B. With subcompact cars and what they were made of, point A to B may have been a compromise in some aspects for many. 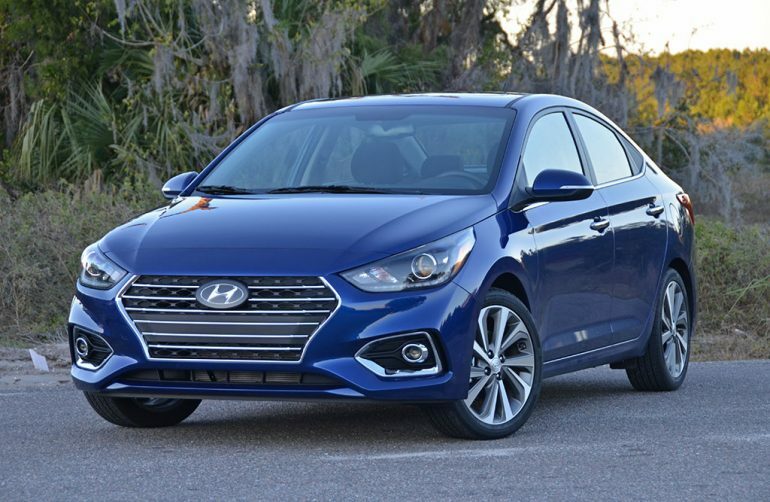 In today’s automotive landscape, those compromises appear to be somewhat of a thing of the past when you inject vehicles like the newly redesigned 2018 Hyundai Accent sedan into the mix. 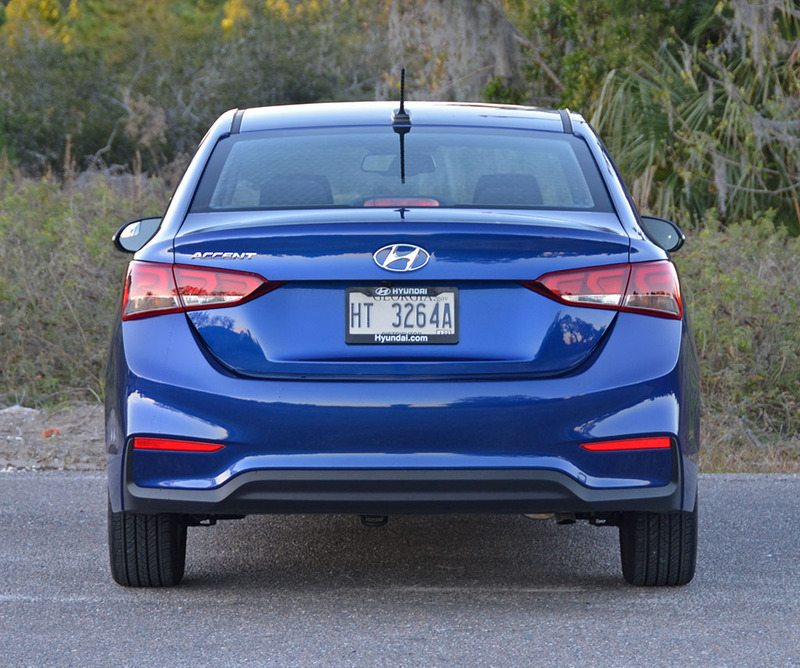 The new 2018 Hyundai Accent captures some of the brand’s new design language found in much larger sedans but takes much of what you find in those vehicles to a respectable level that nearly redefines the subcompact segment. 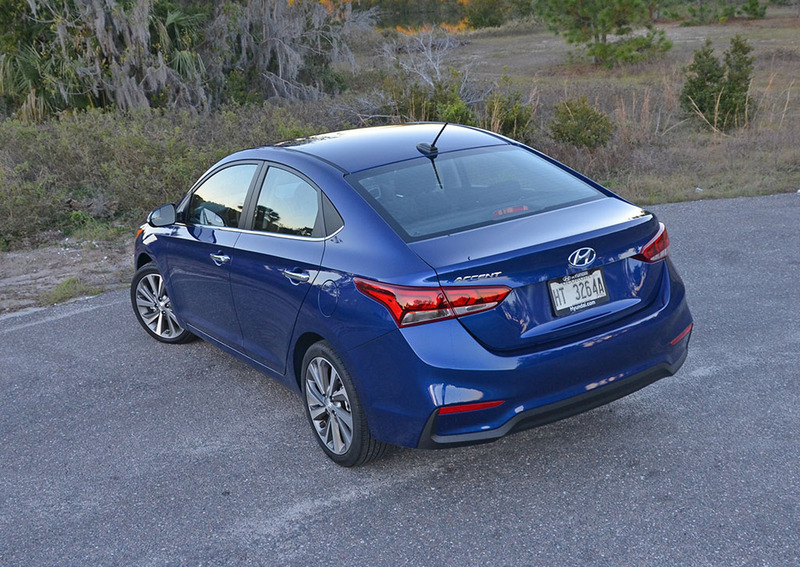 The new Accent is larger, wider, and more refined. Still, with its many improvements, in just about every area that you can think of with the one exception of its powertrain, doesn’t depart from its budget-conscious theme. 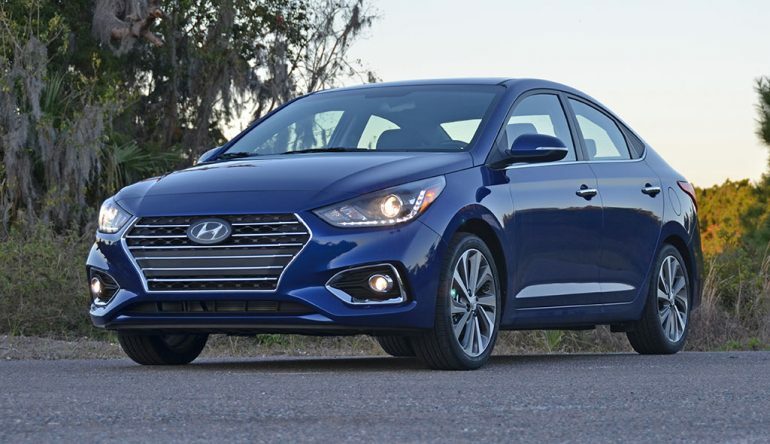 For all intents and purposes, the new Hyundai Accent is still a subcompact true to its nature and carries a price tag that starts just above $15,000. The 2018 Accent, surprisingly, makes due with less power than the outgoing model, 7 hp and 4 lb-ft of torque less in the same 1.6-liter 4-cylinder engine. 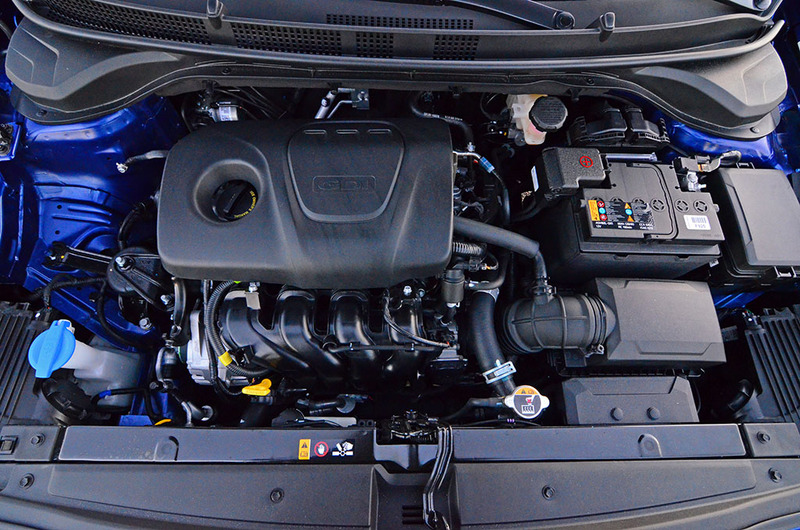 While the power is slightly down, there have been reworked to improve power delivery to the front wheels and better fuel economy to get 28 mpg city, 37 mpg highway, and 32 mpg combined in the 6-speed automatic transmission-equipped Accent sedan. Mustering along with its 130 horsepower through a 6-speed automatic transmission the new Accent proves to be adequate on the road. 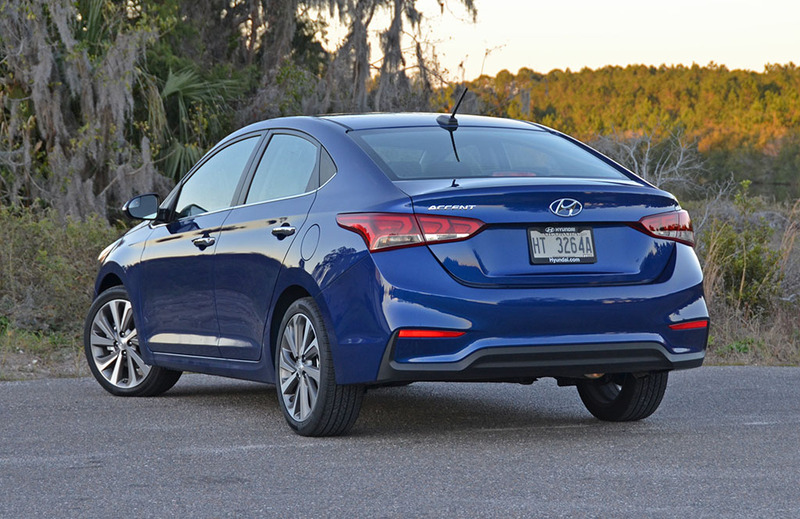 Despite its larger size and added rigidity, the new Accent only puts on about 22 extra pounds over the previous year allowing acceleration not to suffer any. 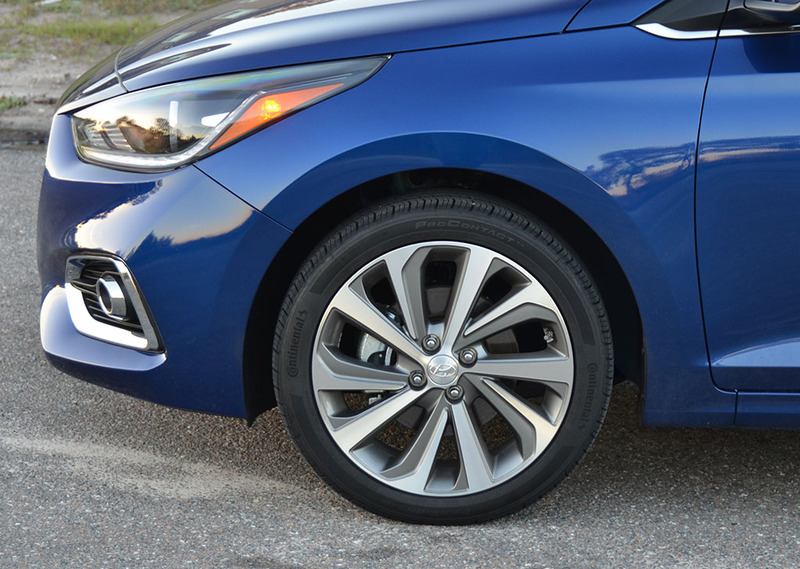 The ride quality of the new Accent is a little on the stiff side, possibly due to a more rigid chassis, my test vehicle’s optional 17-inch alloy wheels with 205/45/R17 tires, and tuning of the suspension system for better turn-in and overall handling. IN a way, the new Accent is surprising in the way it drives mostly due to a heavily weighted and relatively sharp steering. 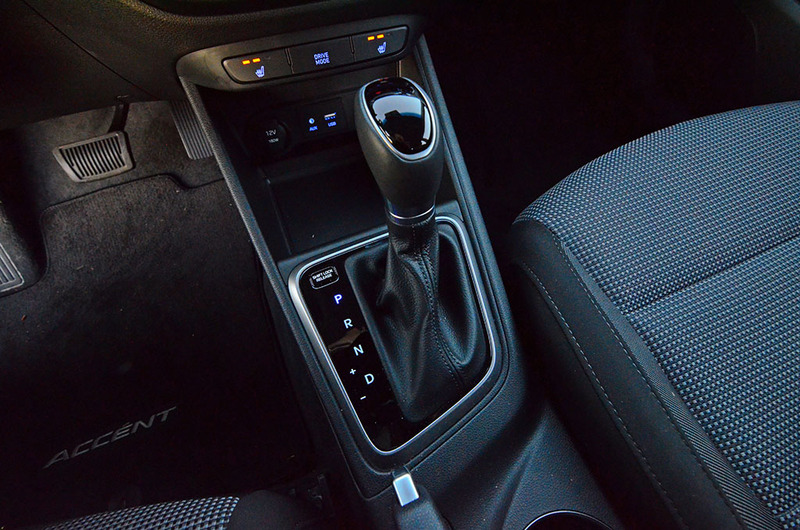 The optional 6-speed automatic transmission (6-speed manual is standard), is quick to respond to throttle inputs proving to add a welcomed direct connection with limited use of the torque converter. 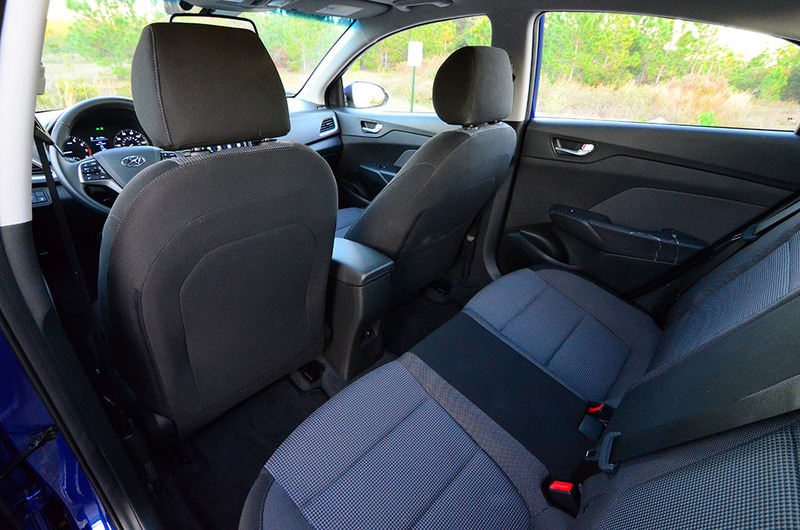 The cabin of the new 2018 Accent takes much of a miniaturized page from Hyundai’s larger sedans. While the dashboard is entirely comprised of hard plastics, there is a better visual quality perception of the interior following through with the new gauge cluster and brightly-lit color LCD touchscreen for the infotainment unit found in my top-trimmed Accent Limited test vehicle. 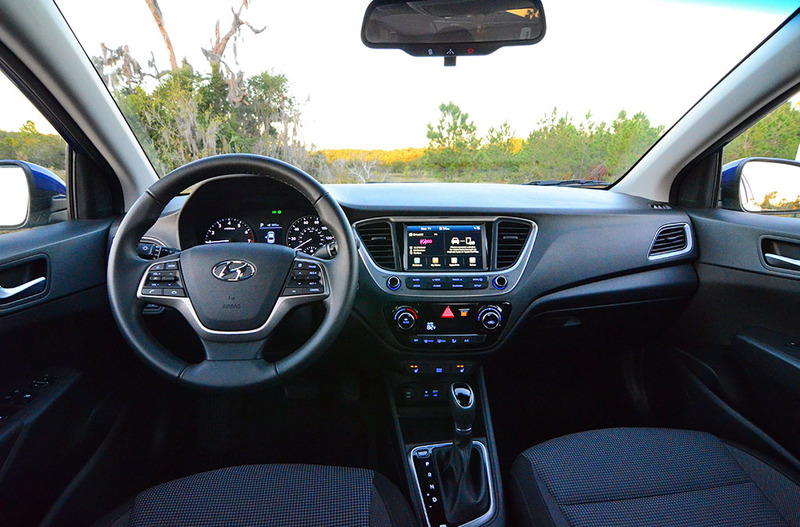 In the tradition of late model Hyundai vehicles, the Accent follows suit with many welcomed features sans a navigation system. 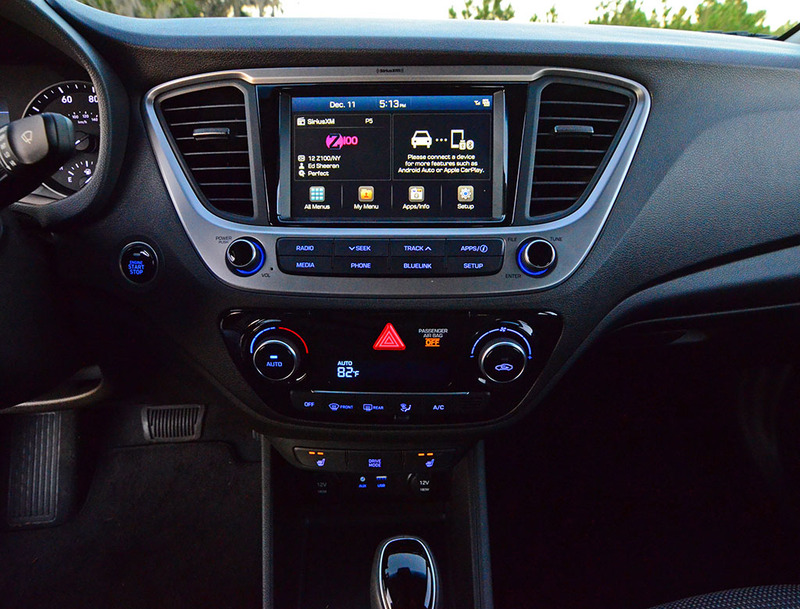 Though, use of Apple CarPlay or Android Auto fills the void for most who are in need of a navigation system and additional connectivity to their smartphone via USB. 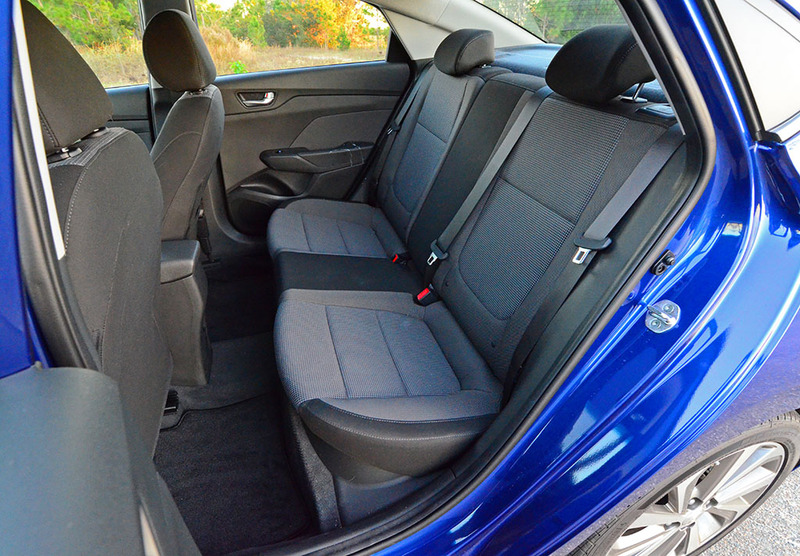 There is an added adjustability of the front seats of the new 2018 Hyundai Accent, which makes it easy for taller drivers to find an optimal and comfortable driving position. Surprisingly, with my being 6-feet 3-inches tall, the driver’s seat had more than enough travel for my long legs with plenty of rearward travel to spare. 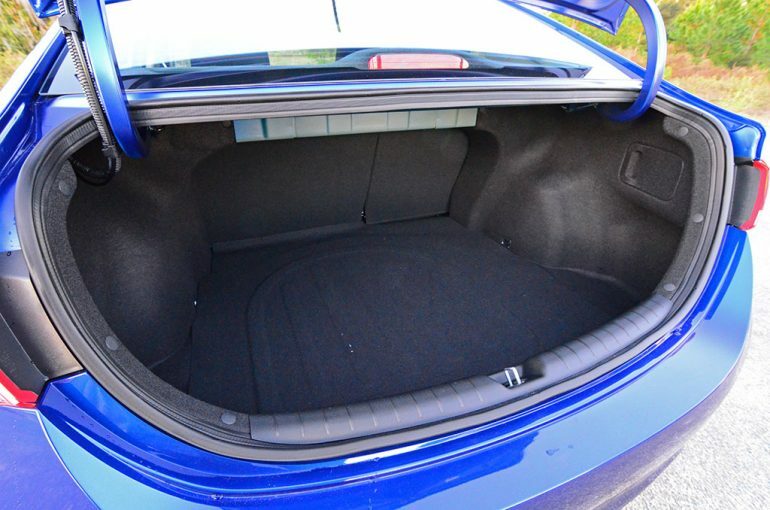 While the new Accent is still a rather small vehicle, one could agree to a couple-hour drive without severe fatigue or a serious lack of space provided you don’t pile in more than four 150 to 200-pound adults in the Accent. 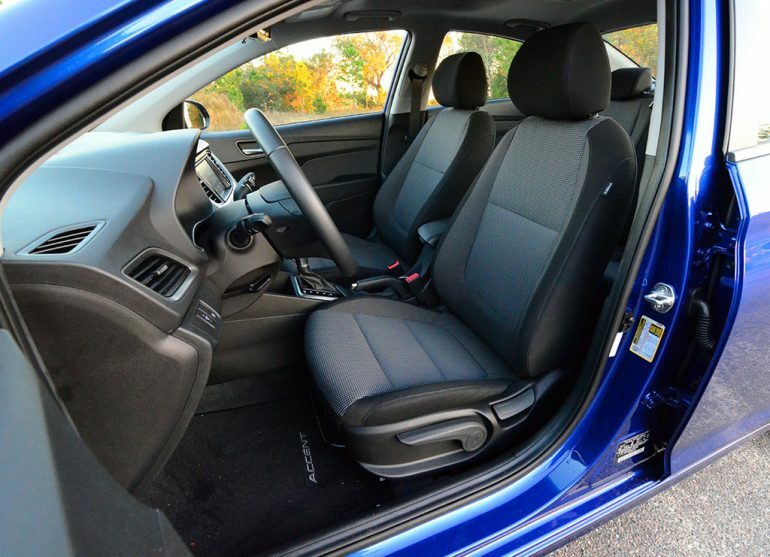 The intelligent keyless access, push button start, heated cloth seats up front, automatic climate control, projection headlights, and available sunroof top off the Accent’s highlighted amenities. Having a few welcomed active safety features as standard, such as a review camera, forward collision warning, and automatic emergency braking, help to mitigate accidents and ease the minds of budget-seekers who don’t want to compromise on everything just to save a few dollars. Moreover, the LED daytime running lights, LED taillights, and fog lights improve upon the visibility of the Accent in addition to making the exterior look more upscale. Hyundai’s little car is finally getting its adult teeth to take a small bite into the next segment level but doesn’t lose its true identity and low admission price. 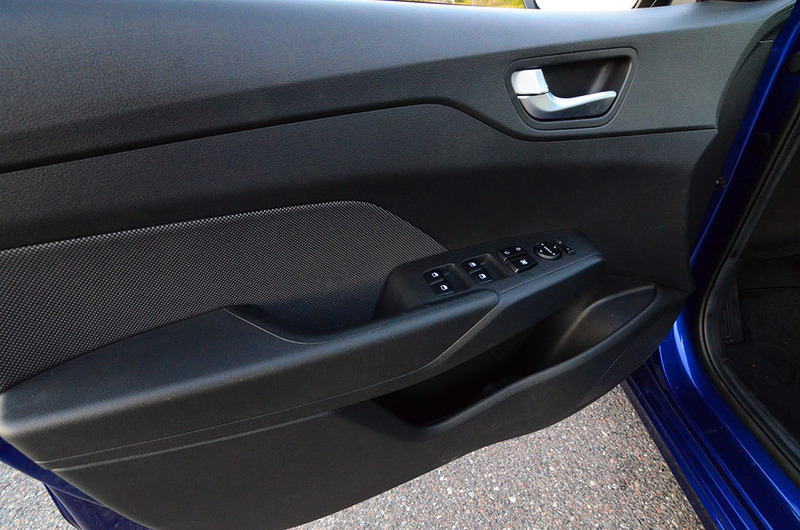 In all that is dear to the Hyundai brand, the new Accent is a significant improvement to move its “starting” bar just a bit higher.